1) Black is this week's signature color because Friday, November 27, was "Black Friday," when retailers cut their prices and consumers flock to the stores. Did you score any "Black Friday" bargains? 2) WalMart, Best Buy, Toys R Us and Target have all heavily advertised their "Black Friday" sales. If you could have a $50 gift card to one of those stores, which would choose? What would you spend the $50 on? 3) Star Wars items are predicted to be big sellers this Black Friday. Are you a big sci-fi fan? Are there any sci-fi fans on your holiday gift list? 4) Feasting and football are also popular Thanksgiving weekend pastimes. Do your Thursday-Sunday plans include pigging out or watching a game? 5) At Thanksgiving dinners, Crazy Sam's homemade gravy is always a hit. (Probably because she's so generous with the cognac, which gives the gravy a nutty taste.) Do you have a signature dish? 6) What did you give thanks for on Thanksgiving 2015? 7) Monday is Cyber Monday, when shoppers can save big online. Do you shop confidently over the Internet, or do you worry about security breaches and identity theft? 8) This week's featured band, Los Bravos, was international. Their members came from both Germany and Spain. If you could travel to any foreign country in the world, which would you choose? 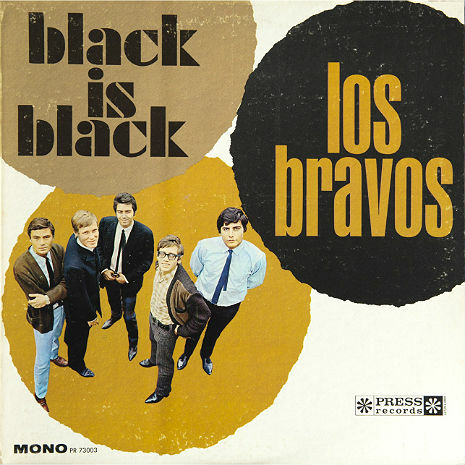 9) The band's name, Los Bravos, can be translated to mean, "The Brave." Do you consider yourself gutsy? 1) This song is about "the thrill of a lifetime" kind of love. Do you believe we each get one great love? Or do you think it's possible to fall in love more than once? 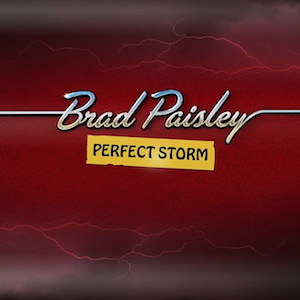 2) Brad Paisley endured his own "perfect storm" in 2010, when he lost his guitars in the massive flood that hit Nashville. Tell us about a time when you had to clean up after Mother Nature. 3) He is married to actress Kimberly Williams, who played Steve Martin's daughter in the Father of the Bride movies. He has admitted he was a little in love with her before he met because he'd seen her on screen. Do you have a crush on anyone right now? 4) He's a passionate Cleveland Browns fan. Are you following the NFL this season? 5) Brad has developed his own line of western wear for Boot Barn, including some pricey items. (A "Perfect Storm" felt hat goes for $230.) What's the most expensive item you've added to your wardrobe recently? 6) "Paisley" is also a term for a popular print. Are you wearing a print or solid right now? 7) Crazy Sam is not a big country fan, but she can sing along with this song because it played so very often at a bar she frequents. What's the last song you sang? 8) Though Brad Paisley has recorded songs about drinking, he never touches alcohol. His favorite beverage is Yoohoo, a chocolate beverage bottled by the Dr. Pepper/Snapple Company. What's the last beverage you drank directly from the bottle? 9) Random question from a Sat9er: What's your favorite handmade item? 1) The lyrics tell us about a young man who stopped at a bar named Webb's before heading home. What's the last restaurant or bar you visited? What did you order? 2) In this video, Vicki Lawrence is obviously lip synching. If you had to participate in a competition, would you do better at karaoke or lip synching? And what song would you choose to perform? 3) Back when this song was popular, so was the Rubik's Cube. Can you solve that 3-D puzzle? 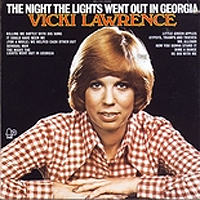 4) Vicki Lawrence is a hyphenate, meaning she's a comedienne-actress-singer. Using hyphens, describe yourself. 5) Back in the early 1970s, songwriter Bobby Russell first offered this song to Cher, who refused it. Give us the name of a song Cher did record. 6) Vicki Lawrence won her first big break playing Carol Burnett's kid sister because of her resemblance to the star. Have you ever been told you look like a celebrity? 7) She also starred on Mama's Family in the role of matriarch of an argumentative Southern clan. As we head into the holiday season, do your plans involve a lot of family time? 8) After The Carol Burnett Show and Mama's Family, Vicki became a staple on daytime TV. She hosted Win, Lose or Draw and was a contestant on The Match Game and $25,000 Pyramid. Do you watch much daytime TV? 9) Random question provided by a Sat 9er: Bugs/insects. Do you like 'em or fear 'em? 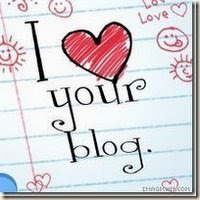 Tell us something/anything you know about them. This week's Saturday 9 is refreshingly theme free, featuring questions submitted by regular Saturday 9ers. Crazy Sam really appreciates all the help she received with this week's meme, and is jealously protecting all your unused questions. Expect to see them sprinkled throughout Saturday 9s in the future. 1) Do you prefer your pickle sliced thin, sliced thick, or in a spear? 2) What kind of eggs do you like best for breakfast? 3) If you got 2 pennies for change, would you pocket them or leave them on the counter for the next person? 4) You’re now in charge of the manners for the planet. Tell us the new rules for cellphone etiquette. 5) You’re about to write a novel. What genre will it be (sci fi, chick lit, historical fiction, comic …)? 6) Is it a bad thing to lie to save a friend’s feelings? 7) Is your big toe your longest toe? 8) Hot stone massage: yea or nay? 9) Do you check the mirror before going out?